"In My Mind's Eye" is the debut YHS release from Epicure. “In My Mind’s Eye” showcases Epicure development as a songwriter, exploring non-traditional song structures while maintaining a constant danceable rhythm. The album is availably digitally, on CD and limited edition vinyl. 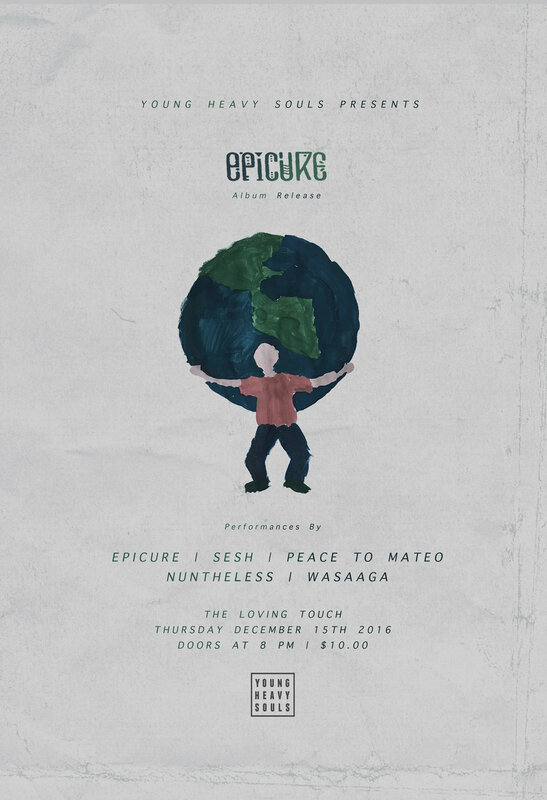 Epicure returns to The Loving Touch in Ferndale, MI on December 15th with Sesh, Peace To Mateo, Nuntheless and Wasagga for his album release show.